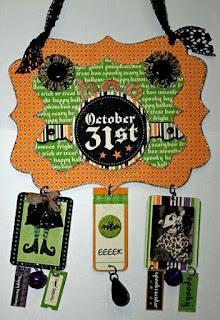 Just a quick post to share my one and only Halloween wall hanging this year. All of the papers are digital from Jessica Sprague. It is a really fun and economical way to craft. I do love the digital! Now get out there and eat some candy and have some fun!